Picture the scene, you’re teaching a class or conducting a meeting while your notes are being displayed on a whiteboard. Then the class ends or the meeting finishes and all of your colleagues or students are fumbling for their phones so that they can take a photograph of your notes before they get wiped away forever. Well, with the Smartmarker from Equil, you’ll never have to worry about your notes being erased again. 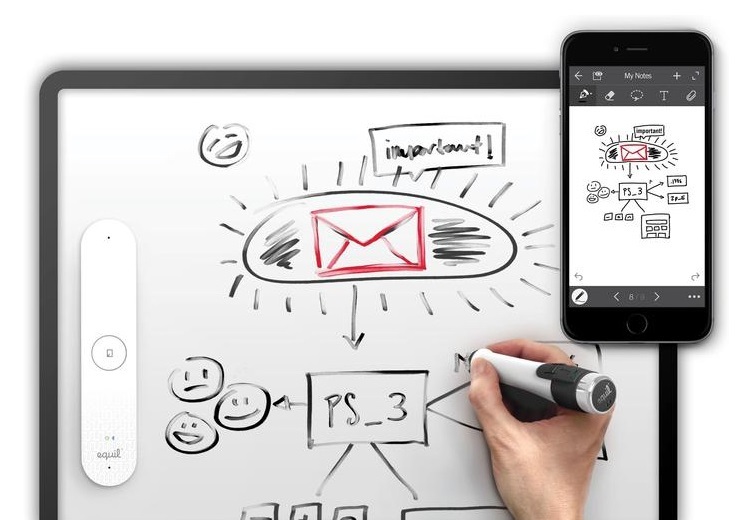 The Equil Smartmarker is a digital marker that turns any whiteboard into a smartboard, allowing you to capture, edit, sync, and stream your notes to anyone and anywhere. With the Equil Smartmarker, collaboration couldn’t be easier. Stream your notes to one person or one hundred people, from France to Finland! Overseas colleagues will now be able to interpret and comment on your notes, thus becoming a part of the conversation. Store your notes in Dropbox, Evernote or iCloud so they can be easily accessed at all times. You can even export and share your notes on Twitter, Facebook and more! Using the smartmarker is simple. There’s no calibration or training required so you can be as spontaneous and creative as you like. Just turn on the smart marker and start writing! Thanks to the sensor’s built in memory, you can be confident that everything you write is saved. Equil Smartmarker gives you the ability to separate your work notes from your personal life. Organise, title and tag your notes so that they’re easy to find, and unlike photos, your notes stay fully editable allowing you to select and manipulate each stroke. Equil also recognises that great ideas need lots of room to grow which is why they’ve given you the world’s largest surface area. Use the Smartmarker to generate charts, diagrams, lists and maps on surfaces measuring up to 16ftx5ft. Suddenly struck by a great idea but there isn’t a whiteboard in sight? Don’t stress. The Equil smartpen will also work on walls with whiteboard paint, glass panels, smooth tables and even erase boards, so you’ll nearly always be prepared for when inspiration strikes! 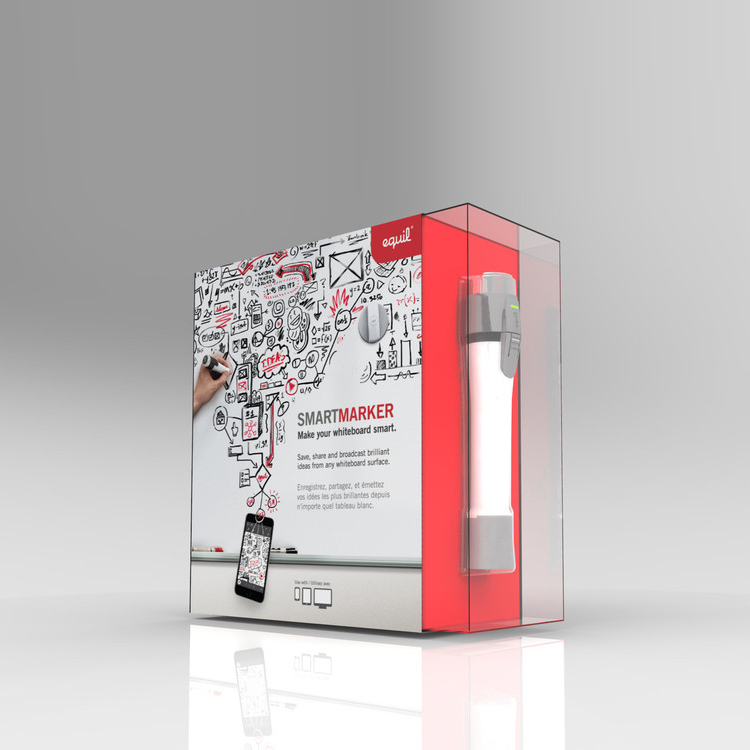 The Smartmarker’s portable design means that it couldn’t be more convenient. Carry it with you in your pocket, bag, or even in your suitcase! 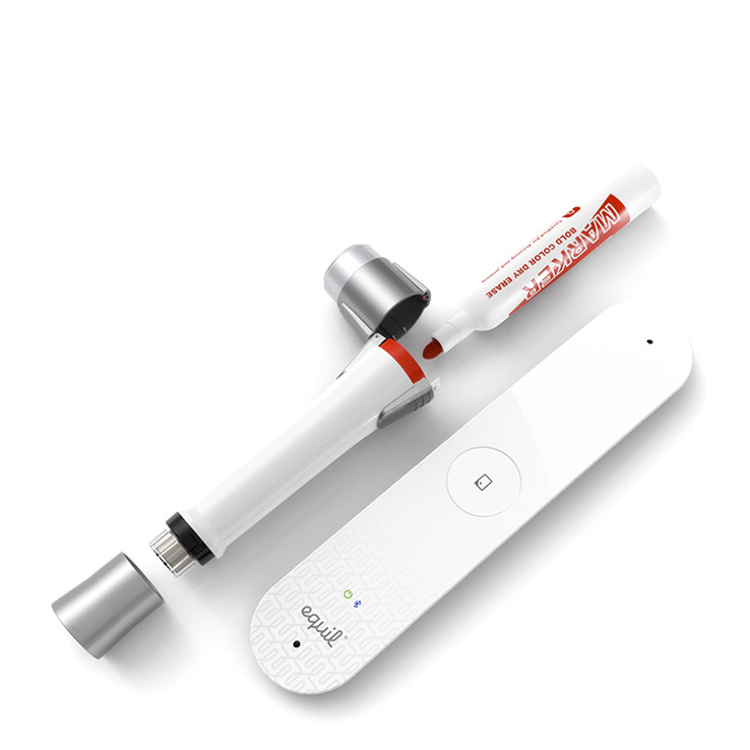 The Equil Smartmarker is priced at €799.99 and is available on our website.